Marissa Licata recently completed a new video featuring her take on the "Game of Thrones" theme. Ms. Licata has collaborated on projects and performed on national and international tours with Alicia Keys, Ben Harper, Ringo Starr, Dave Stewart of Eurythmics, Gloria Estefan, Pras of the Fugees, Jermaine Paul, Elle Varner, Gaby Wilson, and many more. Crit produced and mixed the music. Boston area singer Chris Cote and Crit Harmon have a cowrite in the series "Justified". Episode #509 first airs on the FX network on Tuesday, March 11, 2014. "NCIS" on CBS features Crit's song "High Ground"
The CBS hit show "NCIS" used Crit's song "High Ground" in S11 Episode 15 "Bulletproof" which aired Feb. 25th 2014. 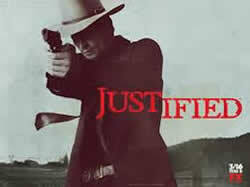 Boston area singer songwriter Tim Gearan and Crit Harmon have a cowrite in the series "Justified". Episode #505 first airs on the FX network on Tuesday, February 4, 2014. The Boston based band "The Upper Crust" wrote the theme song for the History Channels new series "American Daredevils". Both versions of the song "Riding Wild", the show open and the full length ITUNES version were edited and mixed by Crit Harmon and The Upper Crust. The song is is also available for download on ITUNES. Meg Hutchinsons new CD "Beyond That" on Red House Records was officially released on September 24, 2013. "Beyond That" features an entirely new sonic approach to Megs music with Meg playing piano instead of guitar as her primary instrument. "Beyond That" was mixed by Crit Harmon. 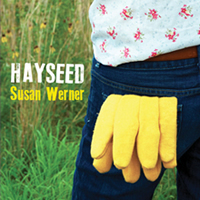 "Hayseed" features 11 new songs celebrating the language, livelihood, characters and concerns of American Farmers. This is Crit and Susans 3rd CD project together. Steve Wilkes and Ginny Fordham of the electronic pop duo Fordham Wilkes have released their new CD Upstream which was co produced with Crit. Crit also played guitar and mixed the CD. Ed Romanoff's debut CD, produced by Crit Harmon has won several songwriting awards, several which are cowrites with Crit. Here's list of awards the two have shared just from this one CD. 2012 Nashville Songwriters Association Grand Prize Winner "St. Vincent DePaul"
2011 International Songwriting Competition 1st place Lyrics Only Category "St.Vincent DePaul" "I Must Have Done Something Right" and "2 Yellow Roses" (1)Semi-Finalist in Lyrics Category "Sacred Wreck"
2011 Great American Song Contest Ist place Americana Category "Two Yellow Roses"
2011 USA Songwriting competition 1st Place in Lyrics Category "5th of July"
8th International Acoustic Music Awards Finalist in Folk/Americana Category "Lady Luck"
2010 International Songwriting Competition 2nd Place in Lyrics Category "5th of July"
Mary Gauthier "Live at Blue Rock"
Mary Gauthiers new CD Live at Blue Rock is getting great reviews and features 4 cowrites with Crit Harmon including "I Drink", "Karla Faye" Drag Queens in Limousines" and "Blood is Blood".